Acupuncture and acupressure are part of Traditional Chinese Medicine, an ancient system of medicine based on a non-Western model of the body that recognizes and works with subtle energy. They are among the most widely recognized, respected, and practiced form of energy medicine today. In 2007, some 3.1 million people in the U.S. reported that they had received treatment in the previous year, according to the National Institutes for Health. Many conventional medical insurers will pay for it. In Traditional Chinese Medicine, subtle energy is called qi, chi, or ki--variations on the same spelling. 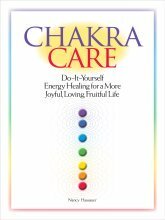 This ancient form of energy medicine works with balancing the flow of qi through the body's meridian system. Meridians are pathways for subtle energy in the body. There are 14 meridians (some experts say as many as 20). Learn more about the body's meridian system here. Chi flows continuously through these pathways -- like blood through our blood vessels -- nourishing, maintaining and restoring all the body’s organ systems. However, chi can become blocked, stagnant, deficient, or otherwise imbalanced. Along the meridians are some 500 tiny points near the skin surface — acupoints or tsubos — that can be stimulated with needles or physical pressure to balance and restore the flow of energy. Using a complicated process of diagnosis based on Traditional Chinese Medicine theory, acupuncturists insert extremely tiny needles into acupoints along indicated meridians to unblock qi and restore balance to the body's life energy. This is usually painless or nearly painless. Acupressure uses finger or hand pressure to accomplish the same purposes. While acupuncture requires years of study, acupressure can be easily learned and safely practiced by the general public. I love Michael Reed Gach's book, Potent Points, and his website, www.acupressure.com. It's comprehensive and his explanations are very good. I also really like this website and particularly its series of articles on "Why Are You Doing That Point?" These articles go in-depth, but in a really accessible and readable way. Meridian therapy been widely researched by Western scientists and found to be effective for a very wide variety of physical problems, including various kinds of pain. It is considered to be very safe. In the field of energy medicine, there are many techniques that are based on the meridian system. These include EFT (Emotional Freedom Technique) and many of Donna Eden's techniques. Learn how to locate and use the Hoku Point here. Learn some acupressure techniques for headaches. Learn how to trace the meridians, a Donna Eden technique. Return from Acupuncture to Types of Energy Healing main page.